How much do you love your green landscape or your garden? Well, to me it is the most important place in my entire premises. I always keep on working on several garden related plans like garden art ideas, garden decor ideas, some stylish rocky passage ways and a few other. In a garden we need a number of planters so that we may draw a whole boundary line embedded in planter pots, so we can not use only conventional planter pots. 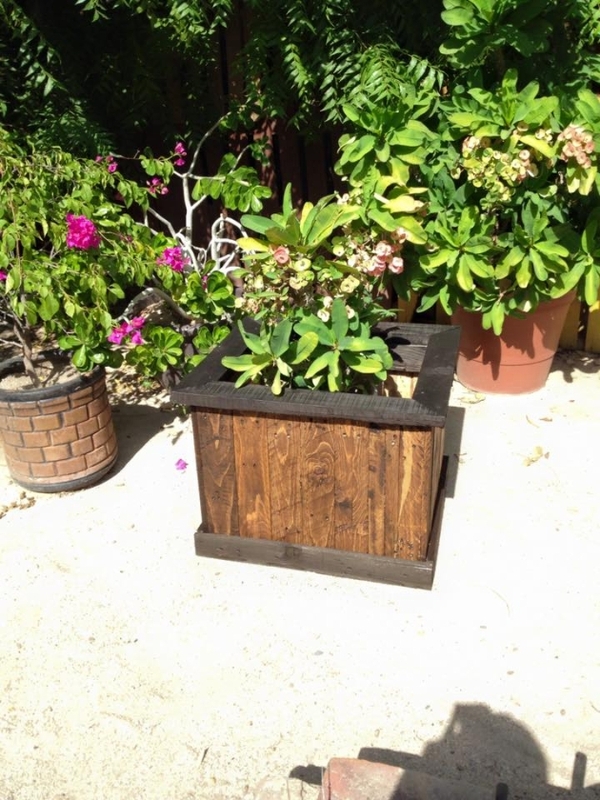 So just to bring a pleasant change, we have plans to recycle a pallet garden planter box. 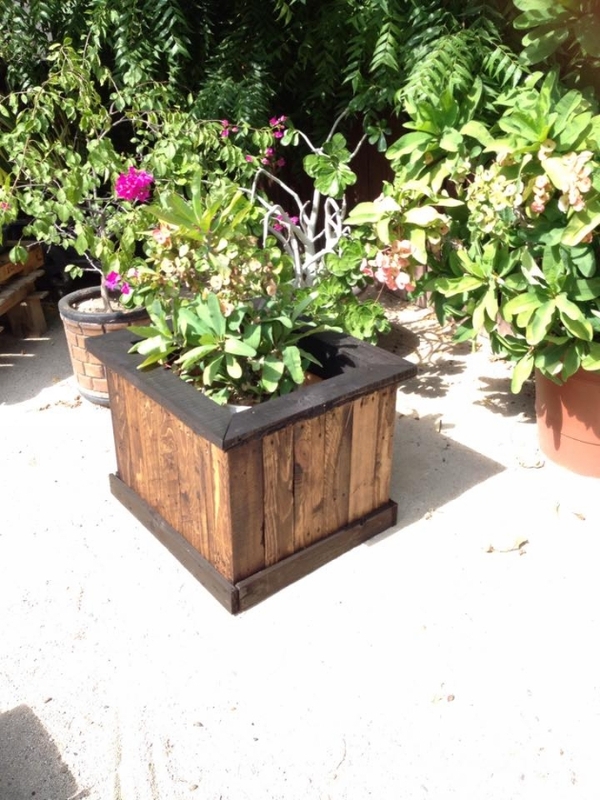 A pallet planter box is not only good for some change, but it also provides with plenty of space where you can plant any bushy and fluffier plants that do not grow well in traditional tiny planter pots. And if you design and paint it with some attractive colors, it becomes more of a decorative piece as well. So all these qualities of a pallet garden planter box compel us to make one for us and present this inspiration to all our folks and pals. And trust me, if you make this one for you, all of the visitors are going to adore and love it. 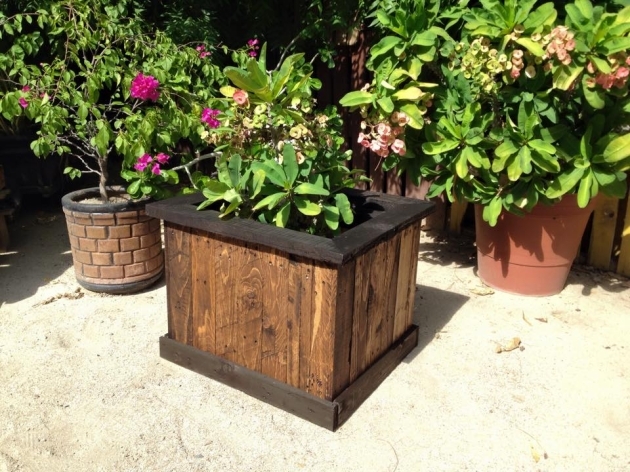 Now let’s have a look on all the procedures of recycling this garden pallet planter box. 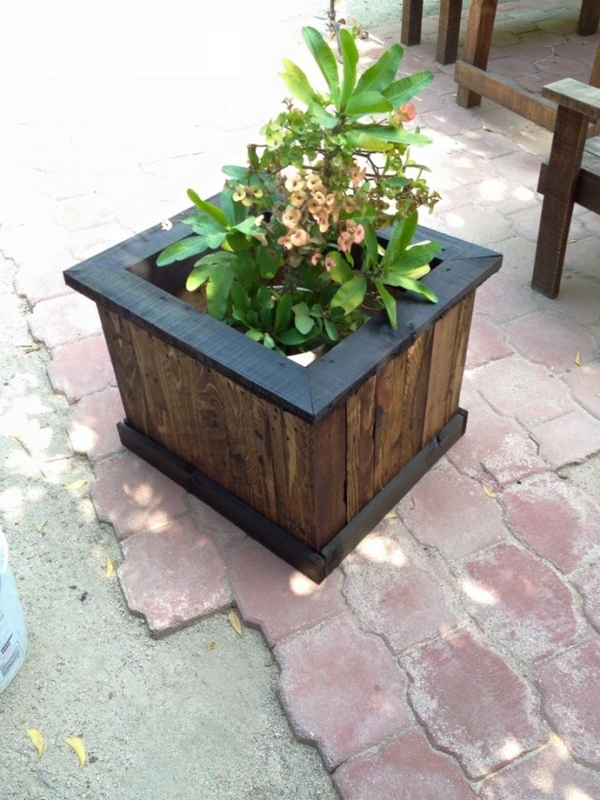 You need a fine pallet, disassemble it decently and make the basic structure of the planter as shown in the project. Leave the inner lengths of pallets unstained, and paint the upper and bottom squares or boundary lines in dark brown to make an appealing contrast. 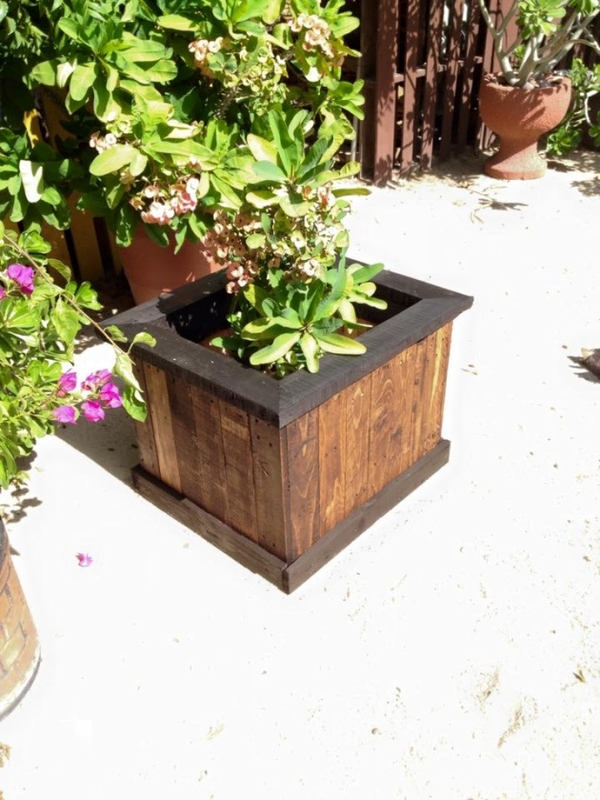 This pallet planter box is just a true wooden beauty for your garden, easy to make and damn cost friendly this pallet planter must be given a try. All the effort made is worth it.